The Engineering Group at TC Electronic were given carte blanche to create the optimal studio signal processor. Being musicians and studio engineers themselves, they know what is important and have a feel for what you are looking for. Working on the borderline between art and science, they created the M2000. Designed for the artist within you, you will create magic when using the M2000. The M2000 provides you with a broad palette of high quality effects enabling you to create magical effects. The true dual engine configuration allows you to run two full-blown effects simultaneously, i.e. on two individual effects sends. The effects have been developed for optimal sonic quality with no compromises made. This has only been possible because our engineers succeeded in combining the latest technology with TC's powerful DARC™ chip. The M2000 gives you access to a stunning array of Reverb, Pitch-shifting, Delays, Chorus, Dynamics etc. Among the included reverbs you’ll find the unique Co-efficient Optimized Room Emulator or C.O.R.E. Reverb™ based upon TC’s famous reverberation Technology. 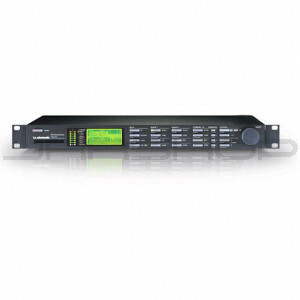 The M2000 is fully prepared for the digital age with Digital I/O connectors, S/PDIF and the professional format AES/EBU. However, specifications never tell the whole story. What really matters is how your final mix sounds. This is where TC’s long experience and know-how in high-end studio signal processing becomes important.